We’d love your help. 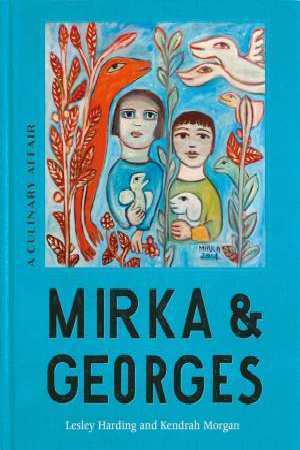 Let us know what’s wrong with this preview of Mirka & Georges by Kendra Morgan. To ask other readers questions about Mirka & Georges, please sign up. A wonderful and insightful look at the early years of Melbourne Bohemians Mirka and Georges Mora. The book is interspersed with recipes and artwork, as well as photographs from a forgotten era. A great read, especially in the light of Mirka's death just a few months ago aged 90. It is also recommended to watch the YouTube clips of the NFSA titled "Melbourne in the 1950s" narrated by the oldest son of the Moras alongside to reading this book, which heightens the experience.